Julien covers financial institutions across Europe. 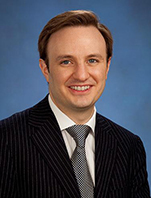 He is Head of FIG EMEA M&A and Co-Head of FIG EMEA Banks Coverage. He joined Goldman Sachs in 1999 as an analyst in the Financial Institutions Group within the Investment Banking Division in London. Since 1999, Julien has worked on a number of landmark transactions for European financial institutions, including large mergers and acquisitions transactions and equity financings. He was named managing director in 2009.